At a turn of the dial a radio program comes to you. It is clear. It is true. It is natural. You thank the powers of nature that have once more brought quiet to the distant reaches of the radio-swept air. You are grateful to the broadcasters whose programs were never so enjoyable, so enchanting. You call down blessings upon the authority that has allotted to each station its proper place. 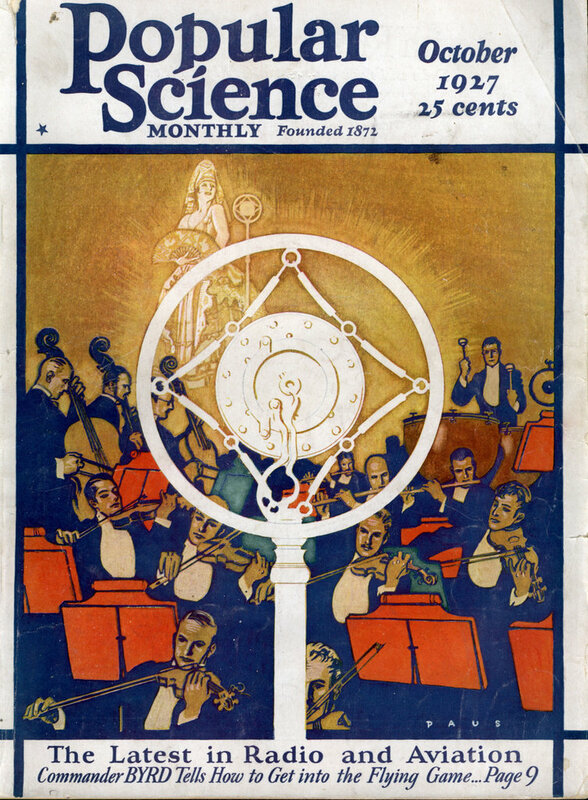 And, if you are radio-wise, you will be thankful that you bought a new set of “B” batteries to make the most out of radio’s newest and most glorious season. There is no doubt of itâ€” radio is better with Battery Power.. And never was radio so worthy of the perfection of reception that batteries, and batteries alone, make possible. Today more than ever you need what batteries giveâ€”pure DC, Direct Current, electricity that flows smoothly, quietly, noiselessly. When such is the current that operates your receiver, you are unconscious of its mechanism, for you do not hear it humming, buzzing, crackling. The enchantment of the program is complete. 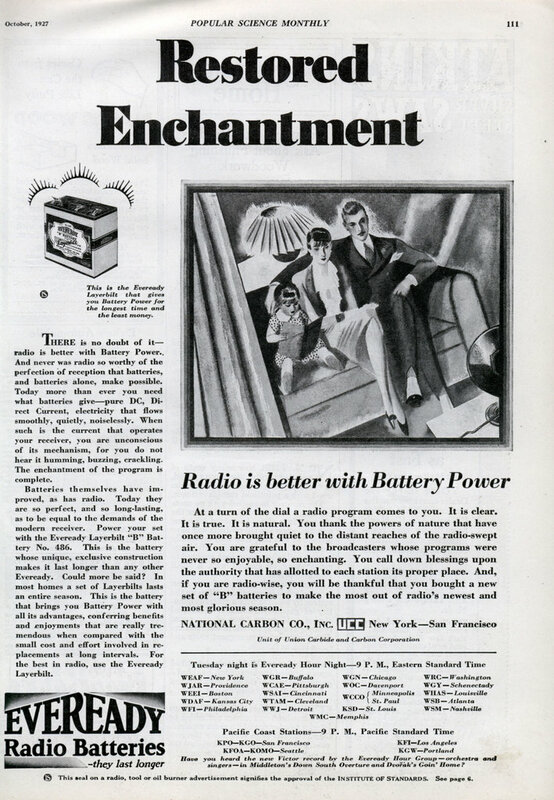 Batteries themselves have improved, as has radio. Today they are so perfect, and so long-lasting, as to be equal to the demands of the modern receiver. Power your set with the Eveready Layerbilt “B” Battery No. 486. This is the battery whose unique, exclusive construction makes it last longer than any other Eveready. Could more be said? In most homes a set of Layerbilts lasts an entire season. This is the battery that brings you Battery Power with all its advantages, conferring benefits and enjoyments that are really tremendous when compared with the small cost and effort involved in replacements at long intervals. For the best in radio, use the Eveready Layerbilt. Ever wonder why batteries go from AAA to AA to C to D? This is the missing ‘B’ battery.